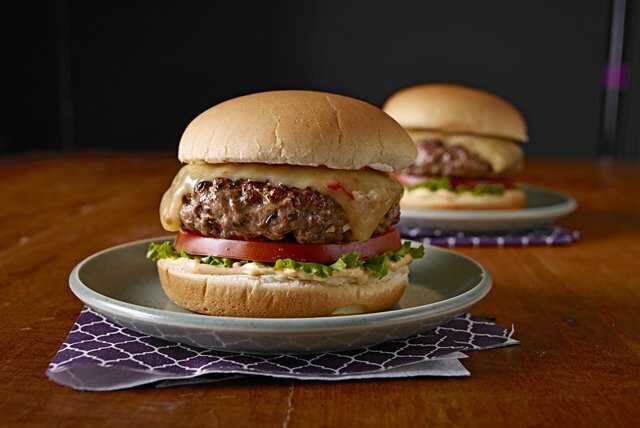 Make the ultimate chipotle burgers with this Gourmet Chipotle Burgers recipe. Just add chipotle cheese slices and toppings like aioli, tomato and garlic to finish the Gourmet Chipotle Burgers experience. Chop pepper finely; mix with meat, cilantro, garlic and adobo sauce just until blended. Shape into 4 (1/2-inch-thick) patties. Grill 5 to 6 min. on each side or until done (160ºF). Top with cheese; grill 1 min. or until melted. Spread aioli onto bottom halves of buns; cover with lettuce, tomatoes, cheeseburgers and tops of buns.